Here is the back story of the movie if you never heard of this anime film. This movie is set in a future Earth where there was an apocalypse that destroyed most of the world's ecosystem. The remaining humans have scattered to a semi-habitable location on Earth. They are trying to survive this toxic jungle that covers most of the planet, now populated by massive bugs. The main character is Nausicaä, a young girl that lives in this valley village of the wind. Her people can communicate to the massive insects that populate this toxic jungle. 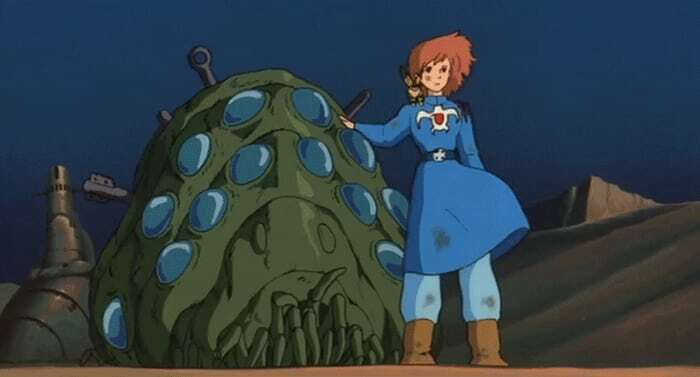 With the overlook of Lord Yupa, Nausicaä tries to restore peace back to the planet. Nausicaä of the Valley of the Wind comes from Japan and is directed by Hayao Miyazaki. Even though it’s one of his older films—as the film came out in the 80s—I think that it should get the appreciation that it deserves, and it should be shown again to newer audiences. For a newer generation that will fall in love to the storyline and characters of the movie. This movie is very good for beginners or those new to anime film. I would mostly consider this anime genre to be science fiction or a dystopian film. If these genres don’t interest you, I hope that you still consider looking for another anime film that fits you. But don’t give up on exploring, reading, and watching anime and manga; you will end up loving all of the authors and artists, and their creations that are their livelihood. The main storyline of the movie is set in the future of the Earth. Most science fiction dystopian futures of Earth show total control of the planet through the government system. Or the planet is ran by Artificial Intelligence (AI) and/or aliens take over. Or you also can't forget a zombie apocalypse that sends the remaining humans to another planet with hope to save the human race. But what about a dystopian future where the ecosystem has been almost entirely destroyed, now having giant bugs taking over the planet? That’s the kind of science fiction where this film comes in. I think that it should be appreciated for its unique character as a fresh new look on dystopian future. But also this film shows the dark reality of our future today. Even though it’s intended for a younger audience, it shows how close we are as humans to destroy our planet ecosystem. Be it by deforestation, overpopulation, or climate change in the approaching future, our future grandchildren will live and survive through our past generation's mistakes. Nausicaä of the Valley of the Wind also shows that we should unite, a means to bring peace and balance to mankind and the world around us. I remember watching this movie as a kid, and I soon after started to find anime that was similar or directed by the same animator. This anime film really opened the door for me to the anime and manga community. I really started to appreciate and support anime and manga creators, to this day, because of this film. I do think that there are more anime and manga films that are waiting to be appreciated by a new era of non-anime and manga readers, but I am also especially hoping to see this film on Netflix one day. That way Nausicaä of the Valley of the Wind will find a larger audience. I am small and independent wiriter from Michigan. What Has Ron Howard Revealed About The Han Solo Spinoff On Social Media? Do These Planets Reveal The Plot Of The Han Solo Spinoff?